With warm temps and sunshine comes parties. And with a party comes the need to craft an outfit that reflects the fete's lively spirit. 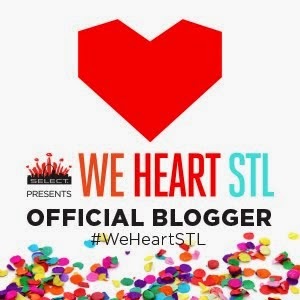 ALIVE Magazine's We Heart STL Best of the City Celebration is going to be one of the hottest parties of the season: drinks from Cruzan Rum and Bud Select, shopping from local vendors, live music, and dancing. Here are some ideas on what to wear, inspired by the exciting lineup of entertainment and refreshments. No matter which city you live in, there are probably lots of talented local designers and sweet boutiques. A party is the perfect time to treat yourself to some local duds. Since the We Heart STL party celebrates St. Louis' finest, you'll earn major style points by wearing something crafted by a local artist like Beltshazzar Jewels or Lateef Accessories. Keep your outfit relatively simple to let showstopping accessories take center stage. Summer get-togethers typically include yummy food, and you know what? Deliciously cute things happen when you fuse fashion with food. Try a mini-dress in a playful print like apples or ice cream and pair it with chunky sandals. Trust me - you will look good enough to eat, even while munching on bites from Pi Pizzeria and Hiro Asian Kitchen. Vintage looks are always a good idea, especially for events like parties where people really ooh and ahh over original outfits. A retro outfit is the perfect fit for the We Heart STL party! The Missouri History Museum will have an interactive booth to give guests a sneak peak at their upcoming exhibit, "A Walk In 1875 St. Louis." I'm not suggesting you go that far back to curate your look (unless you've got a truly astonishing antique fashion collection, and if so, can we please meet? ), but the '70s is the "it" decade this year. Try an ensemble with boho accents like fringe, suede, floral patterns, crochet, and wooden platforms. Get your groove on in an A-line mini. Which look is your fave? Local fashionistas, you don't want to miss the celebration. Don't believe me? See how much fun it was last year. Invite your peeps here and buy tickets here. See ya there! This post was sponsored by ALIVE Magazine, but the opinions are entirely my own. Such cute outfit ideas! I loved what you wore to the event. So fun! Thanks, Yasmin! You looked chic as always too! I love your outfit! It is for Spring and Summer! Good colors! Good idea to wear socks to cover bad pedi!